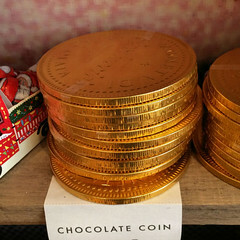 It's that time of year when I get to post some seasonal food, gift ideas, stocking fillers and treats to look out for in the shops or online in the lead up to Christmas. I got to try all the food items here after visiting the 'Christmas in July' shows, and can say I enjoyed every one. 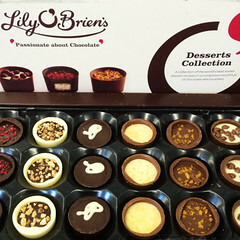 I'm starting with a few Irish treats, if you can't find them in the shops they're all available online! I'm a sucker for chilli crisps & these are fabulous - sweet chilli & Irish red pepper from Keogh's. Other flavours include shamrock & sour cream, and, for Christmas, a roast turkey & secret stuffing flavour. 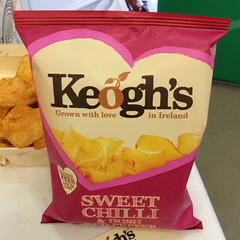 Keogh's have a family run farm and grow their own Irish potatoes for their handcooked crisps. 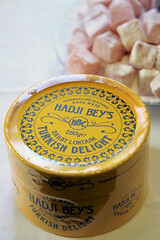 If you thought you didn't like Turkish Delight (as I did! ), Hadji Bey's will change your mind completely. 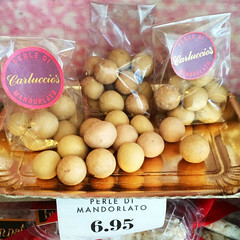 I think this was the most surprising, wonderful sweet I have tasted recently - soft and melting in the mouth and not overpowering at all. 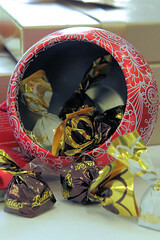 I LOVE this Turkish Delight!! 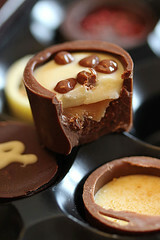 Look out for it at speciality food fairs or order online. Wow, honey with gold in it! 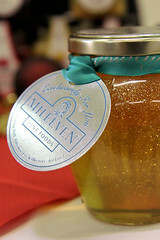 Sarah's Honeys from Mileeven are glorious and traditional, and the range includes organic and speciality honeys. I'm hankering after the honey with blueberries in it - just gorgeous. 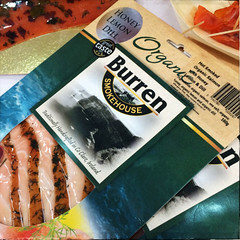 I'd love to visit Burren Smokehouse in North County Clare, Ireland. I tried the honey, lemon & dill organic smoked salmon and I'm hooked. 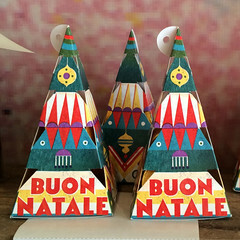 They also do smoked trout, smoked mackerel and will make up a hamper for you. 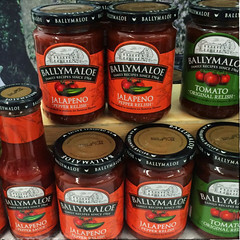 Cool jelly beans that are GMO, gluten, nut and gelatine free, made in Ireland. 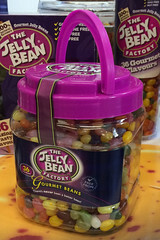 Made by The Jelly Bean Factory, they come in different sized packs and are truly zingy, with 36 flavours including mango and cranberry & apple . 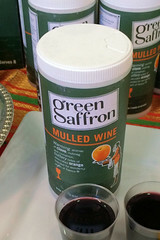 For something different, I found this mulled wine mix from Green Saffron. Just mix it with a bottle of red wine and warm it up, I just need the ski slope to go with it! 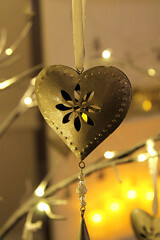 There are loads of interesting things on the Green Saffron website, including spice blends, rice, chutneys and sauces. You can also buy a packet of Tamil spices that you mix with coconut milk, tomatoes and lime to make a festive treat using up your turkey leftovers. 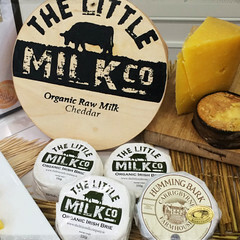 For cheese lovers, The Little Milk Company is a co-operative of organic dairy farmers spread throughout the provinces of Munster and Leinster, Ireland. 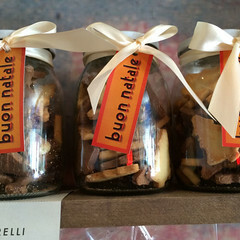 Their cheeses have been winning loads of awards and would grace any Christmas cheeseboard. We particularly enjoyed the Irish Brie! 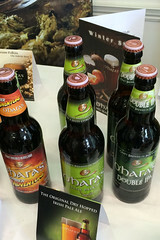 A gift pack of O'Hara's ales will give you a sample of some of the best beers that Ireland has to offer. 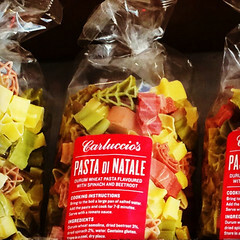 After attending the Carluccio's event, I've picked out my favourites. 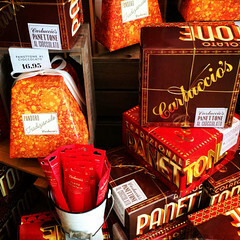 They also sell wonderful gift boxes and hampers, and you can even create your own gift box. 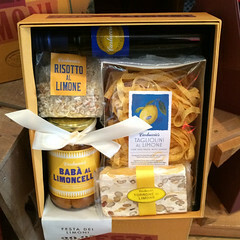 Gift boxes - perfect for the cook in your life. Prices vary.